WICHITA, KAN. – A former deputy with the Hamilton County Sheriff’s Department was sentenced Wednesday to a year and a day in federal prison for lying to investigators about a missing machinegun, U.S. Attorney Stephan McAllister said. 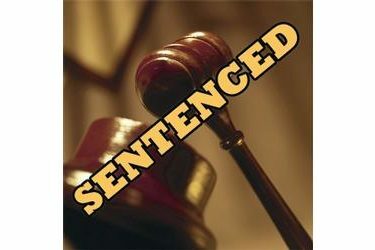 Robert W. Doty, 60, Guymon, Okla., pleaded guilty to one count of lying to a federal investigator. In his plea, Doty admitted that in March 2018 he was interviewed by an agent of the Bureau of Alcohol, Tobacco, Firearms and Explosives. The agent was investigating a report by the Hamilton County Sheriff’s Office that an Uzi machinegun was missing from its inventory. Doty told the agent that he had cleaned the machinegun, taken it to the range to shoot it and then returned it to the Sheriff’s office. In fact, Doty did not return the machinegun. He took it to a third party’s house and left it there. According to the Kansas Commission on Peace Officers’ Standards and Training, Doty’s certification as a law enforcement officer has been revoked. McAllister commended the Bureau of Alcohol, Tobacco, Firearms and Explosives and Assistant U.S. Attorney Debra Barnett for their work on the case.